Questions about James Martin 206-001-5508? 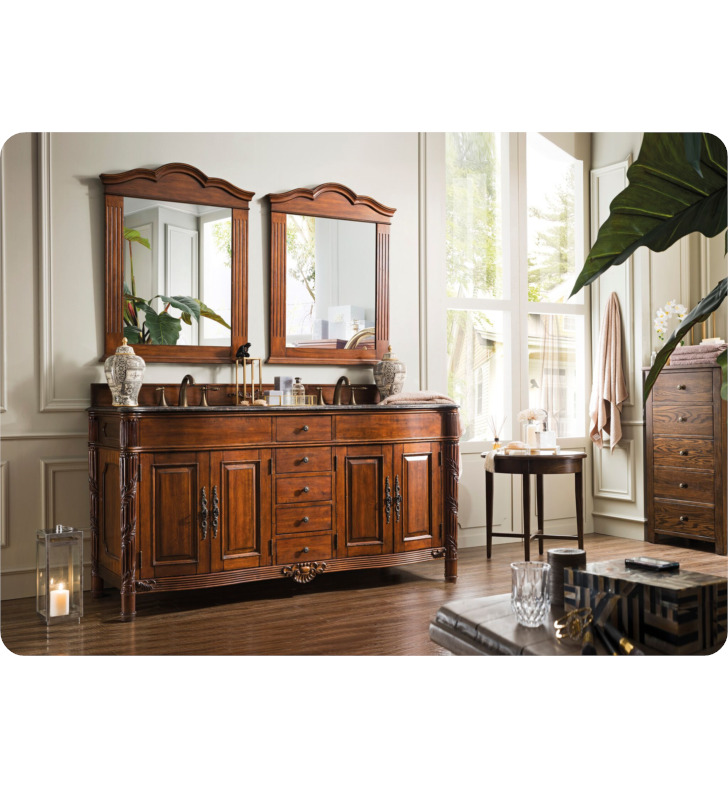 This 72", double sink, Cherry vanity by James Martin Furniture features Cherry and Birch solids with Cherry and Birch veneers. 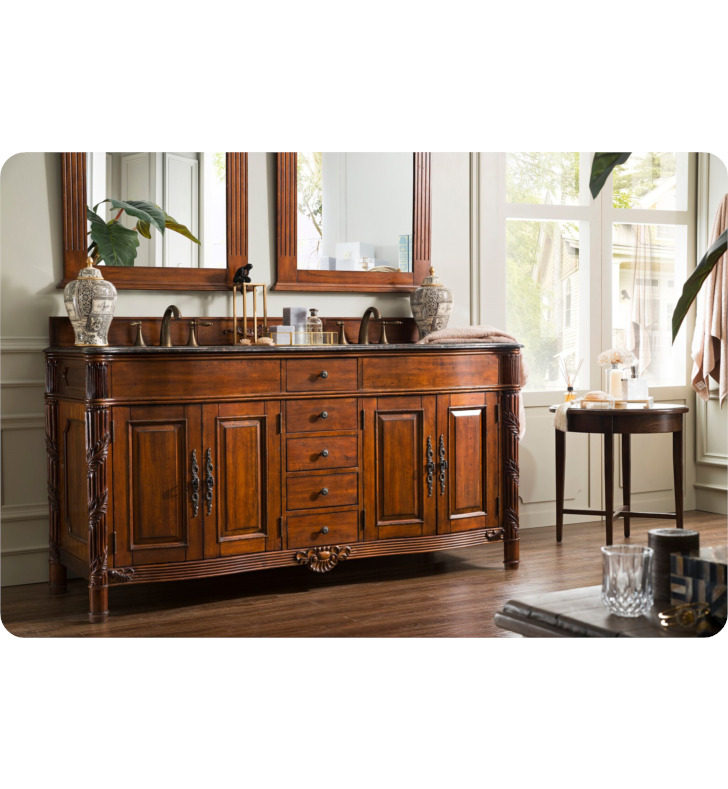 Curved doors and hand-carved details add elegance to this exquisite bathroom furniture piece. 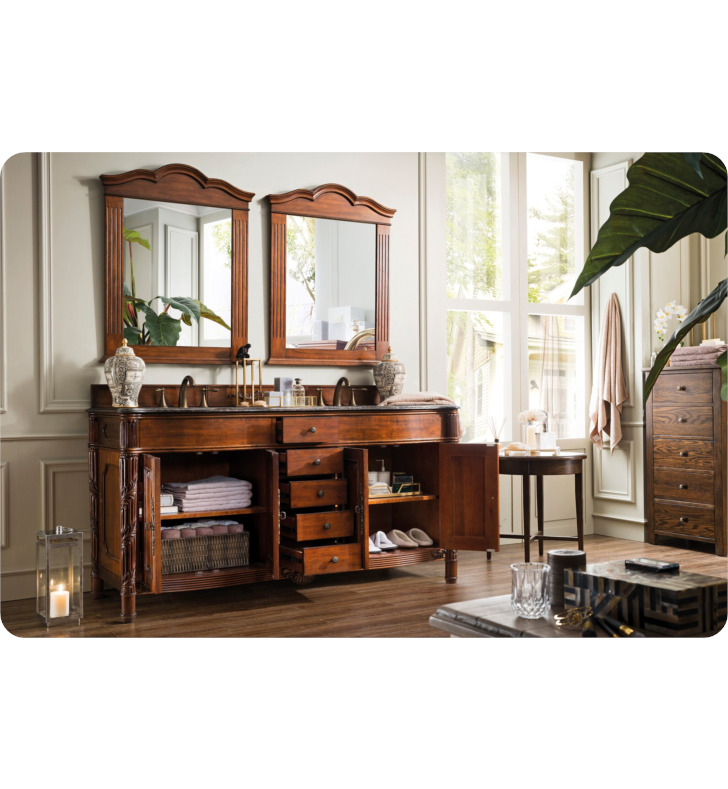 With five drawers and four doors, this vanity offers an abundance of storage space. 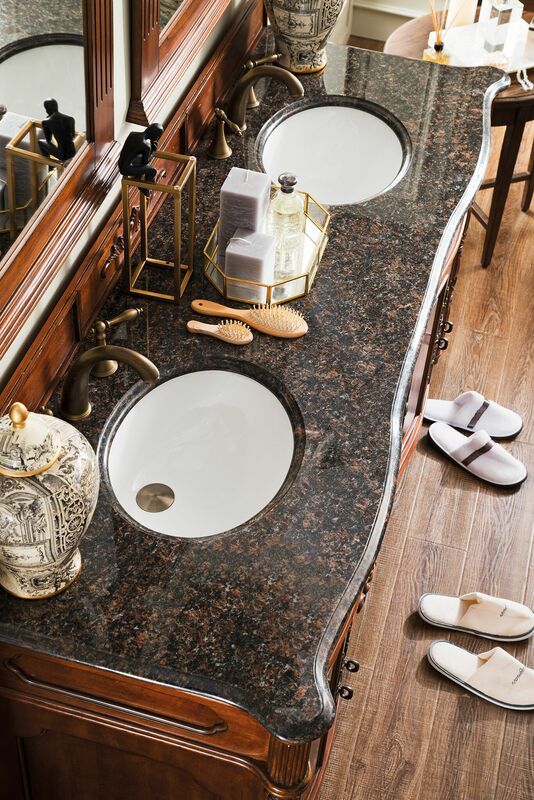 Antique Brass finish door and drawer pulls pair nicely with a Baltic Brown granite top to complete the look. 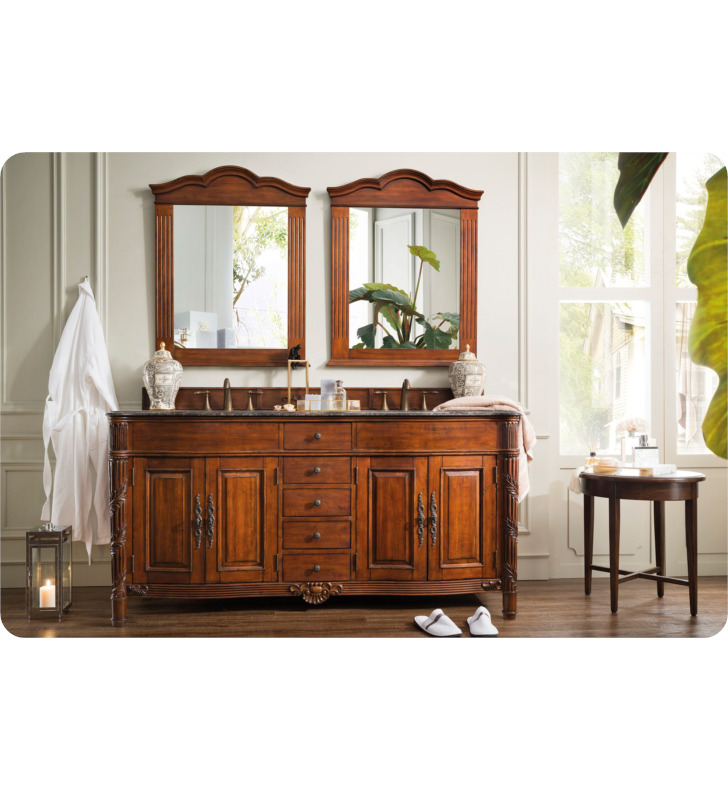 Backsplash not included. W 72" x D 24" x H 35 1/2"